HAMILTON, Bermuda, May 4, 2018 /PRNewswire/ -- GREY GOOSE vodka announces today the launch of OFF SCRIPT, a new nine-part digital series hosted by Academy Award winner, Jamie Foxx. Set in a custom built and luxury fitted trailer, the series follows Foxx as he goes "off script" to have one-on-one conversations with A-list talent, including Jeremy Renner, Vince Vaughn, Denzel Washington, and Gabrielle Union. In each episode, Foxx and his guest will have a free flowing and spontaneous conversation about their lives and the iconic films that shaped their careers. "I'm so excited to be joining the amazing OFF SCRIPT production team. I can't wait to dive into interesting conversations about film with some of my most respected peers in the entertainment industry," said Jamie Foxx. "What I love most about this series is that viewers are going to walk away feeling inspired by the personal stories from our guests and the movies that influenced them." OFF SCRIPT provides a rare peek into the captivating lives and brilliant imaginations of some of the biggest names in film. Through Foxx's perceptive interview style, viewers will come away with an intimate understanding of their favorite actor's creative breakthroughs and influences. 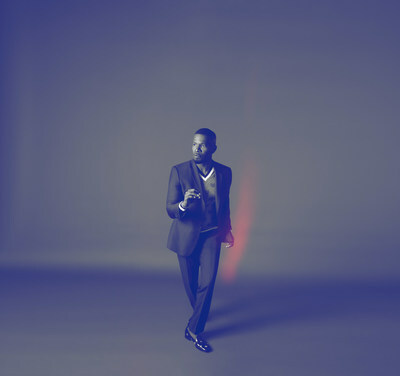 "Jamie Foxx is one of the film industry's brightest stars with infectious charisma and charm that will capture the hearts of everyone who watches OFF SCRIPT," said Yann Marois, Senior Vice President of GREY GOOSE vodka. "GREY GOOSE has a long history of supporting film and bringing great stories to life, and we look forward to continuing this exciting new storytelling avenue with Jamie." OFF SCRIPT represents the next step in a continually growing trend of iconic brands as creators. GREY GOOSE first entered this arena with the hit series "Iconoclasts," launched in partnership with Sundance Channel. With OFF SCRIPT, GREY GOOSE is assuming a true production role with full ownership over the creation and execution of the series. A natural extension of the brand's longstanding dedication to supporting iconic film, OFF SCRIPT is an innovative digital series that will meet consumers where they consume content. The series will spark culturally relevant conversations that galvanize audiences through subjects that are universally relatable. The show is produced by GREY GOOSE (Iconoclasts), in partnership with JASH, a Group Nine Company (Jimmy Kimmel Live!, Late Show with David Letterman), and The Sunshine Company (Gucci Chime for Change, Balmain Wonderlabs). OFF SCRIPT is digitally distributed exclusively across Oath platforms including HuffPost, Yahoo Entertainment and AOL.com, and across social platforms by Group Nine (Thrillist/NowThis). Viewers can also see the OFF SCRIPT series on www.greygooseoffscript.com. Group Nine Media acquired JASH in November 2017. Foxx is represented by CAA, LBI Entertainment, and Ziffren Brittenham. Every aspect of the creation of GREY GOOSE® is focused on crafting vodka of unmatched quality. The creation of GREY GOOSE begins with the very best ingredients from France – soft winter wheat from the Picardie region, le grenier à blé (the breadbasket of France) and spring water from Gensac-La-Pallue, that is naturally filtered through limestone. A unique distillation process brings out the naturally superior characteristics of these ingredients. ©2018. GREY GOOSE, THE GEESE DEVICE AND THEIR TRADE DRESSES ARE TRADEMARKS. ALL OTHER MARKS ARE TRADEMARKS OF THEIR RESPECTIVE OWNERS. VODKA 40% ALC. BY VOL; FLAVORED VODKAS 40% ALC. BY VOL. DISTILLED FROM FRENCH WHEAT; VODKA WITH A HINT OF COGNAC – 40% ALC. BY VOL. SPIRIT DRINK 95% VODKA AND 5% COGNAC.